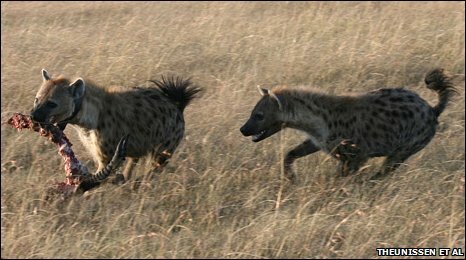 26 captive spotted hyenas were part of the first ever effort to decipher hyenas' calls. The study was conducted at UC Berkeley, where the beasts' vocalizations were recorded and analyzed in a variety of social situations. The pitch of the call indicated a hyena's age, while changes in frequency correlated to each individual's hierarchical status within the group. In all, hyena's have 10 types vocalizations. Whoops with longer intervals signal separation between individuals (that might explain my own nearly nine hours of daily whooping, what with me being separated from my family and contained in an accounting office). Grunts and soft growls signal close contact with members of the same clan (that, too, explains the sounds my youngest boy emits each day when he comes toddling up to me as I walk in the door from work). Oddly, there were no vocalizations indicating proximity to pizza, a sound researchers have tabulated in my own behavior. You know: eager yelps, devouring growls, and satisfied groans. Jade sent this one to us from This Blog Rules. Many species have been named after famous people, and this article names but a few of them. 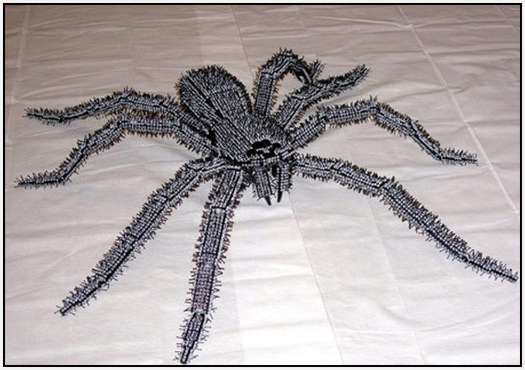 I plucked out the spiders and present them to you for your viewing pleasure. First is Myrmekiaphila neilyoungi, a trapdoor spider native to Alabama and Florida named after Neil Young. Why did Jason Bond name this spider after Neil Young? Because he admires the singer's dedication to peace and justice. And nothing says peace and justice like an ambush predator. 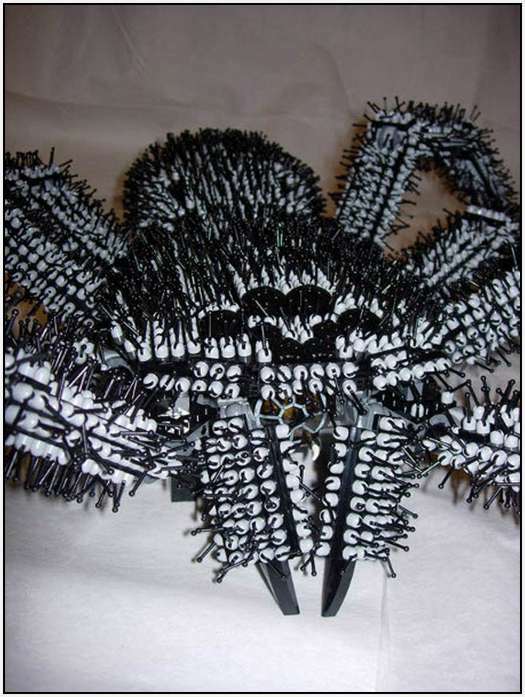 The second spider is Stasimopus mandelai, another trapdoor spider. It is native to South Africa and is named after Nelson Mandela. Jason Bond is responsible for this name as well, wanting to honor the man's moral leadership. And nothing says moral leadership like a creature that lurks in hidey-holes to eat passersby. 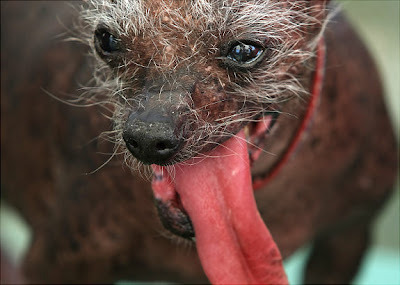 Piya forwarded this link to me from NY Daily News of the top 20 ugly animal species on the planet. You folks have been so thorough in your submissions that every single species, and more than half of the actual photos, have been profiled here on Ugly Overload. Nevertheless, I thought the beauty below needed some more spotlight. Behold the fruit-roll-up-for-a-tongue mug of a Chinese Crested Dog. This breed is the most popular of the hairless dog breeds, though it is still rare. They originate from Africa (they used to be called the African Hairless Terriers), but Chinese trade ships loaded them onto their vessels to hunt down vermin. Though I highly recommend buying mixed breeds and mutts and rescues for your household pet, if you must have a pure bred dog you'll find this one to be kind, lovable, and intelligent. They're great with kids. They tend toward timidity if they are babied. Remember, you hairless dog owners, these beasts were once proud rat hunters that sailed the seven seas. Thanks for the link, Piya. There's nothing particularly ugly about the looks of this flower. It's the infamous Corpse Flower, dubbed 'titan arum' by Sir David Attenborough. You see, he didn't want to constantly refer to its scientific name during a documentary--it wouldn't have been appropriate. The scientific name is Amorphophallus titanum, and I'll let you follow this link to find out what that means. Why is this enormous flower (the largest non-branched example of inflorescence on the planet, measuring 10 feet in circumference) called the Corpse Flower? Because it has discovered that it attracts more carrion-eating beetles and flesh flies with the stench of rotting mammal meat than it does with sweet nectar. There's a moral in that somewhere. Ask your grandma. Rather than emit a sweet smell, it reeks of decay to attract its pollinators, the afore mentioned flies and beetles. It's believed that even its deep purple color is meant to fool its pollinators into thinking it's dead meat. 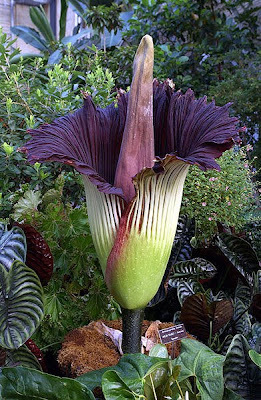 Though native only to Sumatra, the Corpse Flower is in cultivation all over the world. It was once even the official flower of the Bronx, New York. So look for one in your next run to a botanical garden. Be sure to bring your carrion-eating beetles and flesh flies with you. They'll enjoy the treat. Thanks for the titan arum, Tom. Maybe it's because I have three little daughters, but when I imagine a fish called a stargazer, I imagine maybe an opalescent or rainbow-hued fish that sprinkles fairy dust when it swims and goes to the water's surface every night to gaze longingly at the stars above. 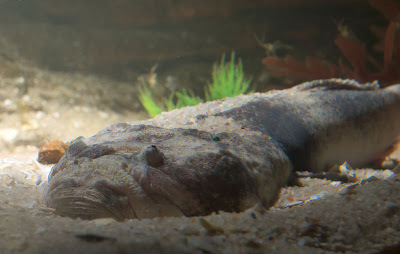 But no, what we have in the real stargazer is a spiny fish with eyes on the top of its head so it can lie in wait in the sand and ambush its prey. Rather than stargazing, it's more like underbelly-of-benthic-prey gazing. They're found the world over in shallow waters. 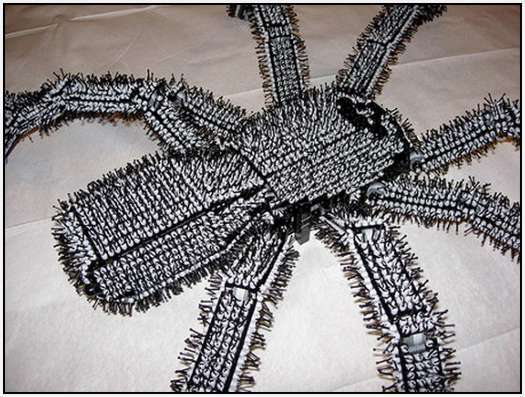 Some come equipped with worm-shaped lures that they wriggle in their mouth, but all come with highly-venomous spines and can deliver quite a wallop of an electric shock. Thanks for the fish, Tom. Thanks for the disillusionment. I received several links to these articles (1 & 2), and for once I had the good wisdom not to open them during a meal. 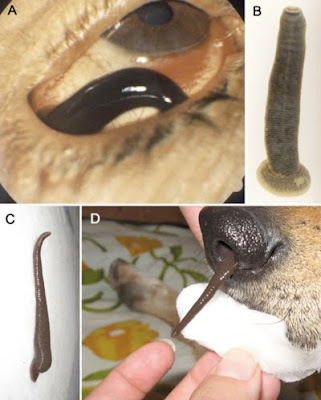 If you do not want to see photos of leeches feeding upon human (or canine) membranes, then proceed no further. The Amazon river has yielded yet another monster. Stare into the face of what has been dubbed the Tyrant Leech King (Tyrannobdella rex, and the name of my next children's book). There are many leeches known the world over that attach themselves to membranes and start sucking away (see last photo). 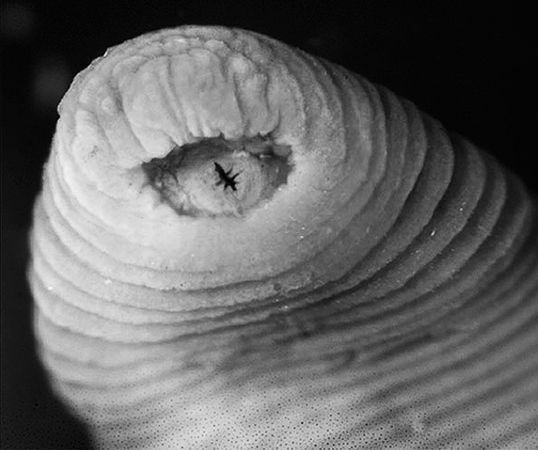 But there's something else going on with this new leech (first photo), and scientists aren't quite sure why. They've got teeth that are five times larger than most leeches, yet genitalia that are about ten times smaller. Why the disparity? We don't know. 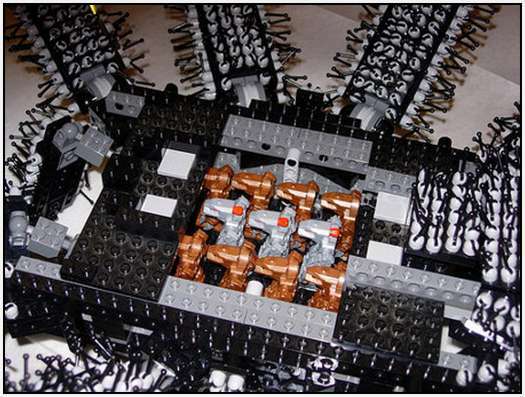 But it will inevitably turn out to be something nefarious and nightmare-inducing. So, next time you swim in the upper Amazon (Peru, in this instance), keep all of your orifices squeezed shut (and I mean all of them, all of them), or you might end up with what one nine-year-old girl described as a 'sliding' sensation where there shouldn't be one. Thanks for the lovely parasite, Jennifer, Rebeca, Jeff, and Ida. You've got me clamped down tight and itchy. Sabethes mosquitos live in the forests of Central and South America. This particular one was photographed in Nouragues, French Guiana. 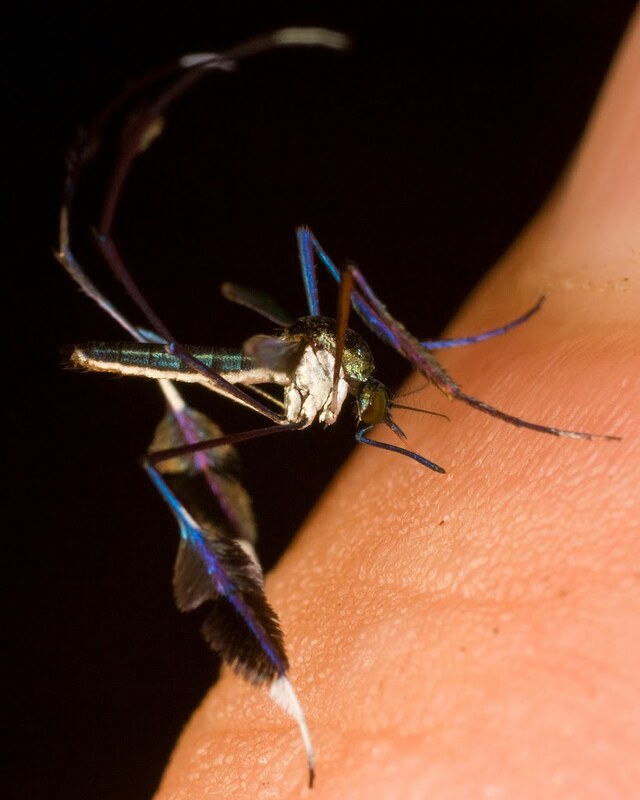 These hematophages (great rock band name) are vectors for yellow fever and have a predilection for landing on humans' noses. Why the nose? Maybe because that orifice breathes out a lot of carbon dioxide (a supposed lure for the mosquitos)? Maybe they want to give you pause with their iridescent colors, long enough at least to take a sip and then float away? And speaking of those colors, I appreciate that they've gone to some effort to be more visually appealing. It makes it less insulting when you catch them sucking your blood. @*^$# -- It's What's For Dinner! I'm eating pizza right now. I'm happy. So, why, OH WHY, do I post during my lunch break? Why do I post on a photo like this? Take a look at the plate closely. Look closer. I see frogs, tarantulas giant water bugs, and a cricket/grasshopper of some sort. Am I missing something? Were these all cooked up in one batch? Fried, sauteed, or grilled? Steamed? Roasted? Why am I looking so close, when I've got a delicious lunch right in front of me? I'm self-abusive, that's what I am. You're looking at a bald blue jay. Why bald? There might be a few answers: a faulty molting process (post breeding), disease, feather picking, or a feeder that has rubbed the feathers away. Bald songbirds aren't actually that rare. You'll occasionally find bald cardinals and blackbirds too. So, why the baldness? Most likely it's due to feather mites. But why only on the head? Feather mites located elsewhere on the body get cleared by the bird's preening: he can actually reach those mites and eradicate them. Not so with feather mites on the head. But fear not for our corvid friend. It won't affect his next moult, and his feathers will come back. The mites, having lost their food supply, have two choices: 1) to leave the bird altogether in search of more feathers, or 2) to migrate to other parts of the bird, but then the bird can rid himself of them, and probably with a vengeance. Thanks for the photo, Kathy. Check out some more of her bird photos at Avianatic Nature Photography. The slug has brought us something never seen before in nature: a creature that is both animal and plant. 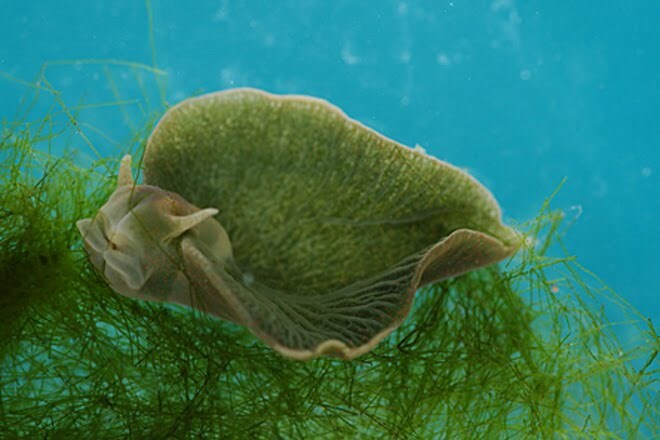 Researchers, spear-headed by Sidney K. Pierce of the University of South Florida in Tampa, have recently discovered that the green sea slug (Elysia chlorotica) is able to hijack complete chloroplasts from the algae it dines on and use them to photosynthesize. After only a few meals on algae, a slug is able to co-opt the genetic material of its algal dinner and never have to eat again. Sunbathing suffices. This has never been seen before in the animal kingdom. Swapping genetic material among microbes is common place. But this is something new. It's different from how corals are able to benefit from photosynthesis. With corals, they host entire photosynthesizing organisms and consume the product. But this slug has skipped the middle man and gone straight to the source. Moreover, it looks like they are able to make their own chlorophyll. Even juvenile slugs that have never eaten algae have algal photosynthetic genes in their DNA, suggesting that they are able to supply their chloroplasts with chlorophyll and never have to eat algae -- or anything -- again. Maybe science could one day provide me with my own chloroplasts that craft lasagna and hamburgers for me. I'd lay in a tanning booth for that. I am amazed at the state of journalism today. Quite a few news sources covered the 'discovery' of what has been called the 'Oriental yeti' out of central China. Telegraph.co.uk simply presented the animal as if an over-exuberant cryptozoologist had written the press release. Others did the same. I had to do a fair amount of digging before I found a proper write up. At last, the Christian Science Monitor had a proper treatment of this beast. Sadly, it's no yeti. Bigfoot and Loch Ness Monster hunters can focus their energies elsewhere. 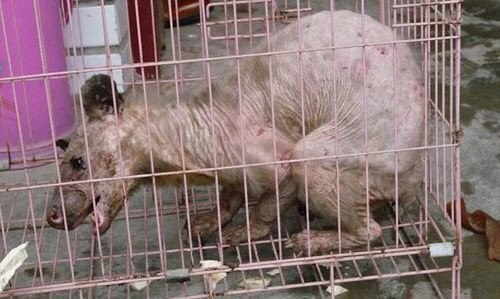 We're most likely faced with a civet with the mange. Instances of creatures caught or sighted with the mange have led to all sorts of speculations and myths. Most likely the chupacabra is nothing more than the occasional mange-ridden quadruped spotted in the distance. Thanks for the Oriental yeti, Jade and Ida. I'd hate to see what Chinese officials did with me if they caught me in the hinterlands on one of my bad-hair days. Karen sent in this link to a post by Allie over at Hyperbolie and a Half. Allie sums up my experience with spiders, though with more expletives. Enjoy the link. 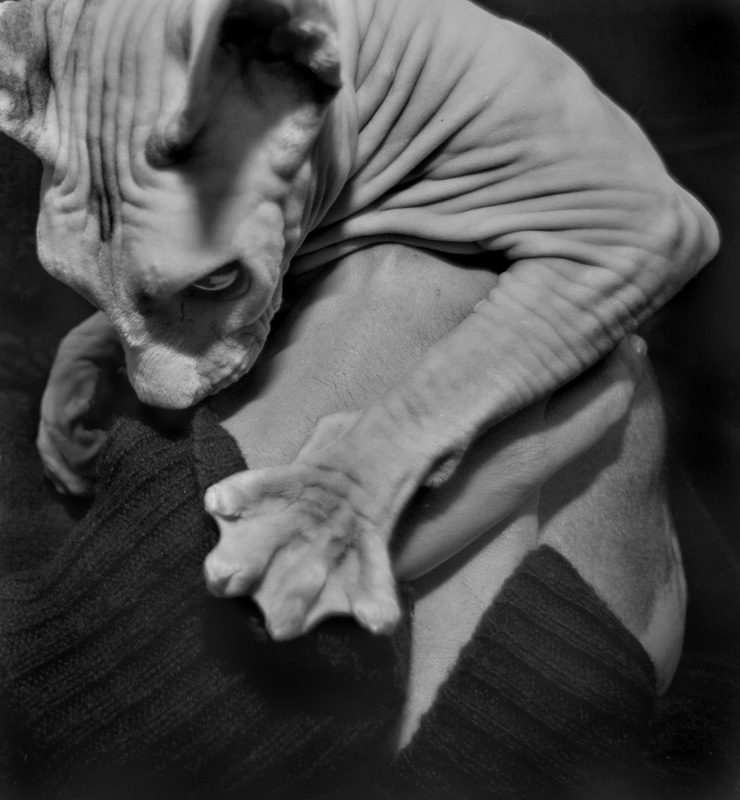 The Sphynx cat as an official breed comes to us from the 1960s. They are a relatively new breed, known for their intelligence and extroverted natures. 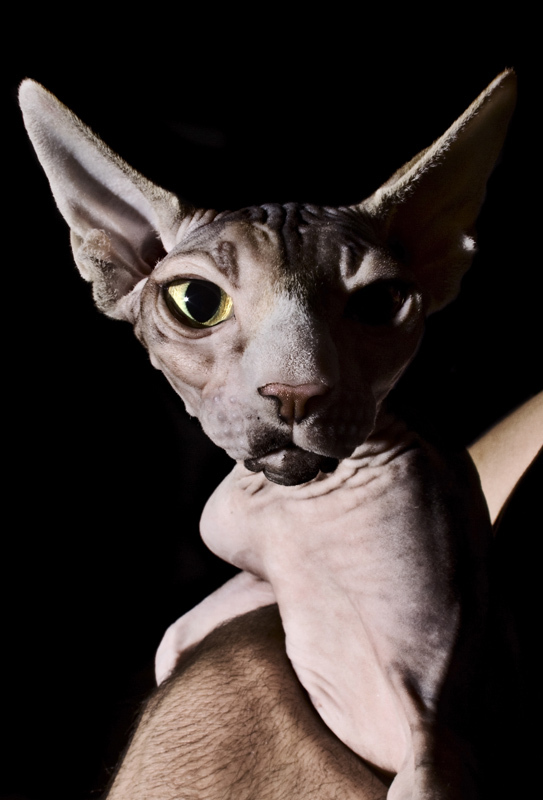 Sphynxes aren't truly hairless. 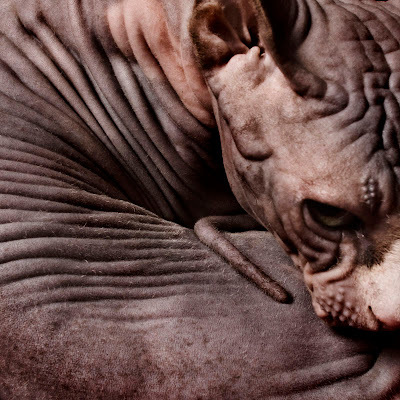 Instead, think of peach fuzz when you think of these felines' skin. Still, their lack of a pelt makes for warm skin, but a cold kitty. They need to snuggle a fair amount to keep warm. So, if you're wanting an intelligent, friendly cat who's obligated to snuggle you, this breed may be the one for you. 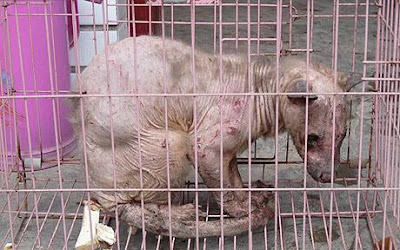 Of course, with millions of unwanted cats and kittens on the planet, you might find a hairy one that suits you just fine. 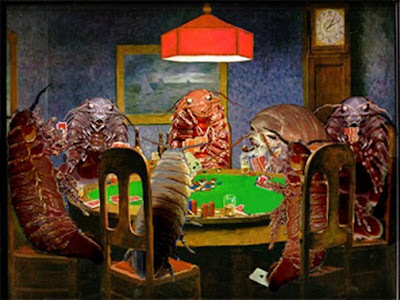 Usually when you hear of new species being found, they're bitty little bugs or out of the way fish. Rare is the new species a large one, a mega-fauna like this six foot monitor lizard. Researchers discovered it in the Sierra Madre mountains in the north of the The Philippines. True, the locals have known about them all along, but only recently have biologists gotten their hands on them. 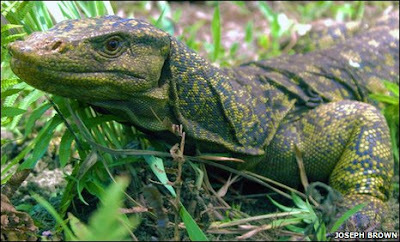 Varanus bitatawa eats fruit exclusively, and they're very reclusive, which is the only reason biologists can think of for why they've remained unknown to the science. They stick to their forests and never cross open ground. That's my kind of giant lizard--shy and out of sight. Behold the glorious visage of the ogre-faced spider (family Deinopidae). These spiders are unique in the arachnid world for their method of catching prey. The are found worldwide in the tropics. They hang face down with a rectangular net dangling between their feet. When an unsuspecting insect rolls by, the spider presses the web on them, and the insect is ensnared. The web isn't sticky. It's so wooly that the prey gets entangled. I used similar techniques to ensnare my younger siblings when I was going through a ... more aggressive phase of my childhood, using blankets and sheets. And, by coincidence, my siblings came up with a variety of nicknames for me: stupid-face, dumb-face, ugly-face, and, yes, ogre-face. Thanks for leading me to this little monster, Tom. Back in January 2007 I posted on a deep sea frilled shark (Chlamydoselachus anguineus) that had been found alive off the coast of Japan. I only posted photos then, not knowing that there was video. The shark didn't long survive captivity (too warm, too shallow). So, more than three years later, here's the video. Be thankful you're a surface-dweller. Doctor Mobius crafted for himself a massive spider made of thousands of Lego pieces. That Legos should be put to such evil uses is an affront to all of my cherished childhood memories. Well, maybe I'm not so much affronted as I am jealous. I've never been cool enough to make something like this. Look at all those antennae used for hairs! Is that genius or what? 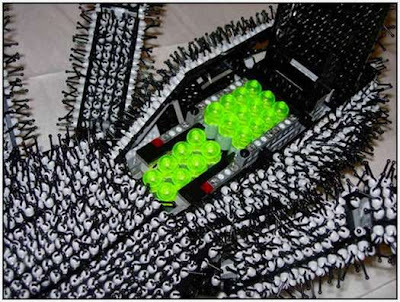 It even comes with eggs in the abdomen (first shot) and a place for troops (last shot). The fang even siphon human souls, like most spiders. 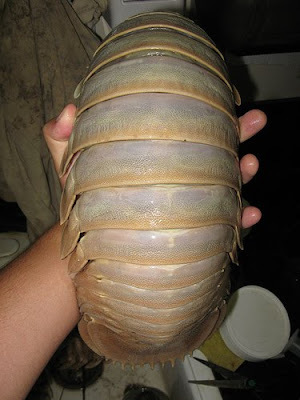 I got barraged with links to several giant isopod articles. 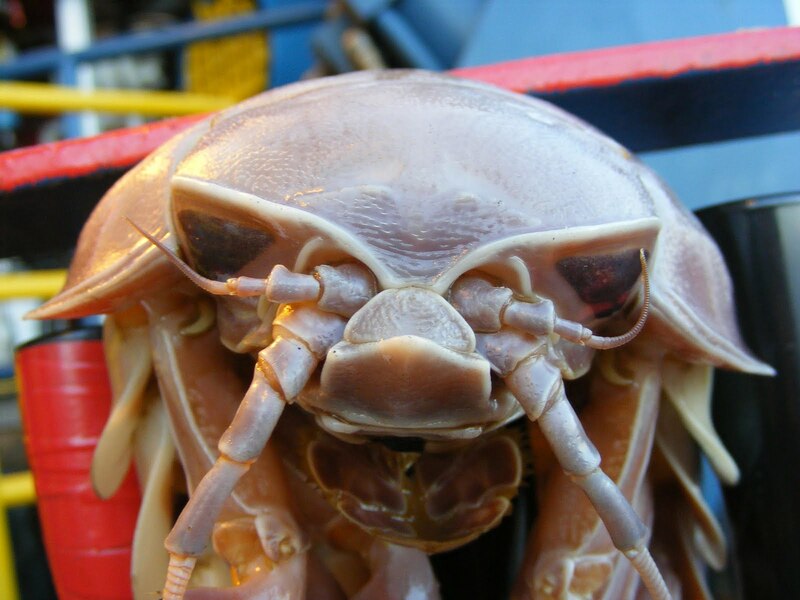 That means two things: 1) you folks think of me (or my blog) when you see something ugly, and that's heart-warming (I think), and 2) there's consensus that the giant isopod has a permanent home here. 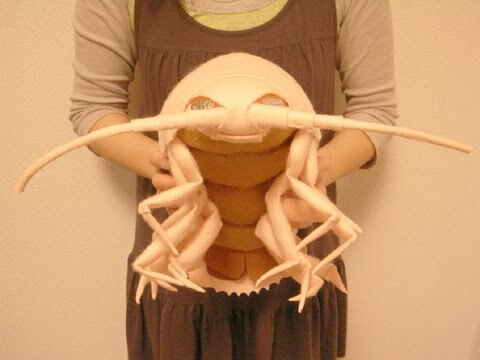 The giant isopod is the deep-sea cousin to the wood louse, or roly poly or pillbug, that you'll find in your backyard. 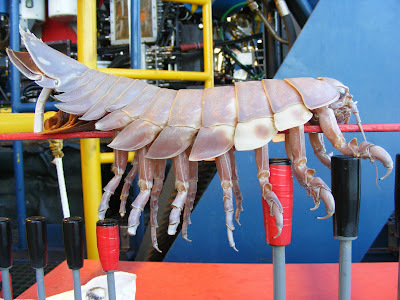 This particular specimen is a good two and a half feet long, which is large or its kind, but not out of the ordinary. But I didn't just get sent links. Sherry also sent me this post on how to make a plush giant isopod, from Deep Sea News. But Sherry didn't stop there. Her photoshop-errific friend Lisa Halverson made for us a photo of isopods playing poker. It's destined to become a classic. We just need a large supply of black velvet. Thanks to co-producers Reed, Sherry, Lisa, Leslie, Terri, Julie, and Judy.